Meadow was surrendered to the Winnipeg Humane Society after her previous owner could not afford some much needed dental work for her. After a few months with Rescue Siamese, Meadow has had her dental work and has made a full recovery. This meek girl is very sweet and loves to have her head scratches. 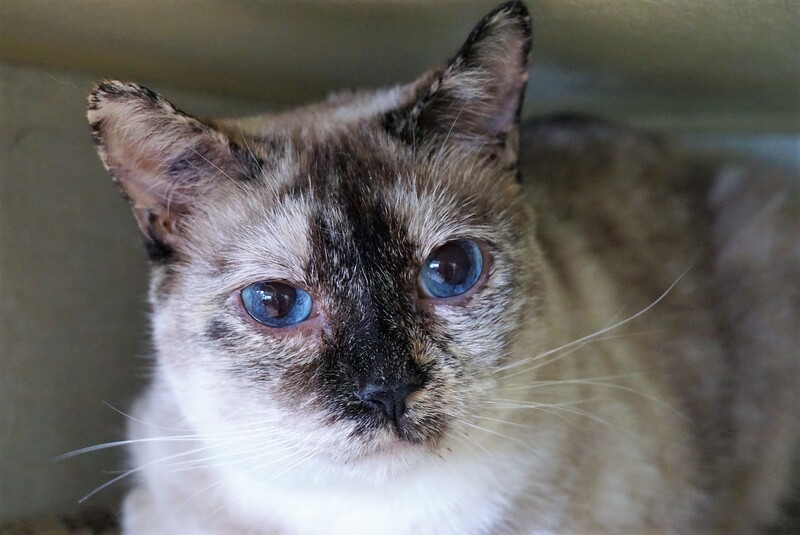 Meadow is easily intimidated by other cats and loud noises; so she would be more suited to a quiet home without other pets and with no young children (<10 years old). If you would like to meet this lovely girl, you can visit Meadow at our store location at 38 Barberry Road during regular store hours.